Green/Sustainable business is business. Please join us December 14th 2016 for our next Arizona Green Chamber Lunch and Learn with Mr. Robert Blaney district director of the U.S. Small Business Administration for the State of Arizona. Created in 1953, The U.S. Small Business Administration (SBA) is an independent agency of the federal government designed to aid, counsel, assist and protect the interests of small business concerns, to preserve free competitive enterprise and to maintain and strengthen the overall economy of our nation. 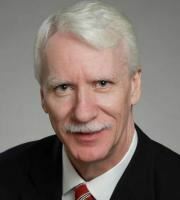 In his remarks Mr. Blaney will introduce the numerous programs his agency offers to help your business to be a success. We look forward to seeing you there. Robert Blaney is the district director of the U.S. Small Business Administration for the State of Arizona. His varied experience includes work as a deputy sheriff with the Erie County Sheriff’s Department in New York State. He also was vice-president of a family owned insurance brokerage. In 1985, he was appointed administrative assistant to Congressman Jack Kemp. He managed Kemp’s district offices and political operations until January 1989. In March of 1989, Mr. Blaney joined the U.S. Small Business Administration as a regional public affairs officer with responsibility for New York, New Jersey, Puerto Rico and the U.S. Virgin Islands. He has held other positions within the U.S. Small Business Administration and was district director of the Albuquerque, N.M., district office immediately prior to his Arizona appointment. He is a native of western New York and a graduate of the State University College of New York at Buffalo.